Missing Person: Ashley Molisani, 29, WF, 5’02”, 120 lbs, Last Seen: 3/20 at Shore Memorial Hospital. The New Jersey State Police and Lower Township Police Detarment are seeking the public’s assistance with locating a missing person. 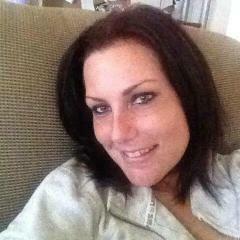 Ashley Molisani, 29, white, female, 5’02”, 120 pounds, brown hair, and hazel eyes. She was last seen on March 20, 2015, at Memorial Hospital, Somers Point, N.J. She was on foot, wearing a purple winter jacket, black yoga pants and brown boots. She may be using New Jersey Transit for transportation. Anyone with information that can assist in helping safely locate Ashley Molisani is asked to call the New Jersey State Police Missing Persons Unit at (609) 882-2000 ext. 2429 or the Lower Township Police Department at (609) 886-2711.